In its 40 years of service, OAR has written over 80 Reports of Investigations and thousands of smaller reports. A listing of our Reports of Investigations and other special reports is provided below. Most of the reports are out of print, but several are still available (readily available reports are in bold letters). If you are interested in one of our Out of Print reports, you are welcome to visit our library here in Moundville or contact us to inquire about special printing upon request. Interstate-65 Archaeological Salvage Excavations, Jefferson County, Alabama. H. Blaine Ensor. 47 pp., 13 figs., 21 tables, 11 plates, 1976. Out of Print. Archaeological Investigations in the R.L. Harris Reservoir: 1976. Mark F. DeLeon. 114 pp., 14 figs., 10 tables, 12 plates, 1976. Out of Print. A Cultural Resource Survey of the Bay Springs Segment of the Tennessee-Tombigbee Waterway. Charles M. Hubbert. 168 pp., 13 figs., 6 tables, 1977, revised 1978. Out of Print. Cultural Resources Inventory of the Jones Bluff Lake, Alabama River, Alabama. Carey B. Oakley and G. Michael Watson. 598 pp., 70 figs., 16 tables, 1977. Out of Print. An Archaeological Survey of the Choctaw National Wildlife Refuge. Ben I. Coblentz. 85 pp., 9 figs., 4 tables, 1979. Out of Print. Cultural Resources Reconnaissance in the Wheeler National Wildlife Refuge, Alabama. Eugene M. Futato. 120 pp., 4 figs., 1 table, 10 plates, 1979. Out of Print. Cultural Resources Survey of Federal Mineral Lands in North Central Alabama. Charles W. Moorehead, Ben I. Coblentz, and Hope N. Gillespie. 459 pp., 50 figs., 18 tables, 1978. Out of Print. Phase I. Cultural Reconnaissance of Selected Areas of Redstone Arsenal, Madison County, Alabama. Lawrence S. Alexander. 202 pp., 13 figs., 2 tables, 1979. Out of Print. Phase II Intensive Survey of the Phipps Bend Generating Plant Site, Hawkins County, Tennessee. J.B. Graham and Lawrence S. Alexander. 65 pp., 1 fig, 3 plates, 1976. Out of Print. Analysis and Time/Task Performance Study of Archaeological Materials from the Lubbub Creek Locality, Pickens County, Alabama. Ben I. Coblentz. 120 pp., 3 figs., 1979. Out of Print. The Gainesville Lake Area Excavations. Archaeological Investigations in the Gainesville Lake Area of the Tennessee-Tombigbee Waterway, Volume 1. Ned J. Jenkins and H. Blaine Ensor. 171 pp., 116 figs., 18 tables, 1981. $12.00 (Tax $1.08). Gainesville Lake Area Ceramic Description and Chronology. Archaeological Investigations in the Gainesville Lake Area of the Tennessee-Tombigbee Waterway, Volume 2. Ned J. Jenkins. 465 pp., 107 figs., 63 tables, 1981. Out of Print. Gainesville Lake Area Lithics: Chronology, Technology, and Use. Archaeological Investigations in the Gainesville Lake Area of the Tennessee-Tombigbee Waterway, Volume 3. H. Blaine Ensor. 316 pp., 61 figs., 71 tables, 1981. Out of Print.  Biocultural Studies in the Gainesville Lake Area. Archaeological Investigations in the Gainesville Lake Area of the Tennessee-Tombigbee Waterway, Volume 4. Gloria M. Caddell, Anne Woodrick, and Mary C. Hill. 340 pp., 20 figs., 83 tables, 1981. $15.00. (Tax $1.35). The Bay Springs Lake Archaeological Testing Project. Robert H. Lafferty, III and Carlos Solis. 260 pp., 125 figs., 72 tables, 1981. Out of Print. The Cedar Creek Above Pool Survey in Franklin County, Alabama. Robert H. Lafferty, III and Carlos Solis. 392 pp., 18 figs., 25 tables, 28 plates, 1980. Out of Print. Phase II Identification and Evaluation of Submerged Cultural Resources in the Tombigbee River Multi-Resource District, Alabama and Mississippi. Larry Murphy and Allen R. Saltus. 388 pp., 165 figs., 9 tables, 20 plates, 1981. $20.00. (Tax $1.80). Archaeological Investigations at Site 22It581, Itawamba County, Mississippi. Judith A. Bense. 86 pp., 5 figs., 7 tables, 13 plates, 1983. $5.00. (Tax $0.45). An Intensive Phase II Cultural Resource Survey of Selected Areas on the Coosa River Navigation Project, Volume I. Tim S. Mistovich. 176 pp., 20 figs., 7 tables, 1981. Out of Print. Phase II Archaeological Investigations within the Shelby Bend Archaeological District, Hickman and Maury Counties, Tennessee. Lawrence S. Alexander. 261 pp., 45 figs., 34 tables, 33 plates, 1982. Out of Print. Cultural Resources Survey, General Electric Montgomery Operation, Burkville, Alabama (Revised). 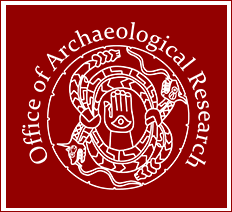 Office of Archaeological Research. 417 pp., 17 tables, illus, 1982. Out of Print. Archaeology of the Gainesville Lake Area: Synthesis. Archaeological Investigations in the Gainesville Lake Area of the Tennessee-Tombigbee Waterway, Volume 5. Ned J. Jenkins. 273 pp., 29 figs., 15 tables, 1982. Out of Print. An Intensive Archaeological Survey of the Bear Creek Watershed. Carey B. Oakley. 101 pp., 4 figs., 1972. Out of Print. Archaeological Investigations in the Little Bear Creek Reservoir. Carey B. Oakley and Eugene M. Futato. 314 pp., 18 figs., 37 tables, 79 plates 1975. Available from TVA. The Bellefonte Site, 1 Ja 300. Eugene M. Futato. 257 pp., 21 figs., 22 tables, 37 plates, 1977. Available from TVA. The Murphy Hill Site (1Ms300): The Structural Study of a Copena Mound and Comparative Review of the Copena Mortuary Complex. Gloria G. Cole. 385 pp., 12 figs., 40 tables, 21 plates, 1981. Available from TVA. The Phipps Bend Archaeological Project. Robert H. Lafferty, III. 607 pp., 102 figs., 168 tables, 1981. Available from TVA. Archaeological Investigations in the Cedar Creek and Upper Bear Creek Reservoirs. Eugene M. Futato. 509 pp., 64 figs., 122 tables, 98 plates, 1983. Available from TVA. Archaeological Investigations at the Yarborough Site (22Cl814), Clay County, Mississippi. Carlos Solis and Richard Walling. 209 pp., 28 figs., 60 tables, 17 plates, 1982. Out of Print. Archaeological Investigations at the B.B. Comer Bridge Site, 1Ja78, Jackson County, Alabama. Eugene M. Futato and Carlos Solis. 143 pp., 5 figs., 42 tables, 11 plates, 1983. Out of Print. An Intensive Phase II Cultural Resources Survey of Selected Areas on the Coosa River Navigation Project, Volume II. Tim S. Mistovich. 57 pp., 14 figs., 3 tables, 1981. Out of Print. Phase I Archaeological Reconnaissance of the Oliver Lock and Dam Project Area, Tuscaloosa, Alabama. Lawrence S. Alexander. 294 pp., 7 figs., 9 tables, 5 plates, 1982. Out of Print.
. Investigations in the Rother L. Harris Reservoir: 1977. Charles M. Hubbert and Richard A. Wright. 144 pp., 34 figs., 18 tables, 1983. Out of Print. An Intensive Phase II Cultural Resources Survey of Selected Areas on the Coosa River Navigation Project, Volume III. Tim S. Mistovich and David W. Zeanah. 150 pp., 3 figs., 19 tables, 1983. Out of Print. The F.L. Brinkley Midden (22Ts729): Archaeological Investigations in the Yellow Creek Watershed, Tishomingo County, Mississippi. Jeffrey L. Otinger, Charles M. Hoffman, and Robert H. Lafferty, III. 245 pp., 74 figs., 84 tables, 1982. Out of Print. The Archaeology of the Emmett O’Neal Site (22Ts954) in the Bay Springs Lake Segment of the Tennessee-Tombigbee Waterway, Tishomingo County, Mississippi. Lawrence S. Alexander. 268 pp., 21 figs., 52 tables, 1983. $15.00. (Tax $1.35). An Intensive Phase II Cultural Resources Survey of Selected Areas on the Coosa River Navigation Project, Volume IV. Tim S. Mistovich and David W. Zeanah. 46 pp., 9 figs., 8 tables, 1983. Out of Print. Phase II Archaeological Testing of the Mallard-Fox Creek Property for Industrial Development: Morgan County, Alabama. Carlos Solis. 67 pp., 13 figs., 7 tables, 5 plates, 1983. Out of Print. Phase I Archeological Survey Along the Tuscumbia River Watershed, Alcorn and Prentiss Counties, Mississippi. Lawrence S. Alexander. 100 pp., 2 figs., 4 tables, 7 plates, 1983. Out of Print. Archaeological Reconnaissance of Chandler and Blount Mountains Pump Storage Sites, St. Clair, Blount, and Etowah Counties, Alabama. Lawrence S. Alexander. 253 pp., 6 figs., 8 tables, 6 plates, 1984. Out of Print. Walter F. George Lake: Archaeological Survey of Fee Owned Lands, Alabama and Georgia. Vernon J. Knight, Jr. and Tim S. Mistovich. 271 pp., 9 figs., 11 tables, 1984. $12.00. (Tax $1.08). An Archaeological Reconnaissance of the Coosa and Tallapoosa River Valleys, East Alabama: 1983. Vernon J. Knight, Jr., Gloria G. Cole, and Richard Walling. 167 pp., 4 figs., 3 tables, 1984.Out of Print. An Archaeological Reconnaissance of Four Counties in Northeast Alabama: 1984. Tim S. Mistovich. 58 pp., 7 figs., 4 tables, 1984. Out of Print. Tukabatchee: Archaeological Investigations at an Historic Creek Town, Elmore County, Alabama, 1984. Vernon J. Knight, Jr. 255 pp., 25 figs., 64 tables, 47 plates, 1985. (Third printing 1997). $25.00. (Tax $2.25). Archaeological Investigations in the Rother L. Harris Reservoir Area: 1985. Tim S. Mistovich. 79 pp., 4 figs., 3 tables, 1985. Out of Print. East Alabama Archaeological Survey, 1985 Season. Vernon J. Knight, Jr. 219 pp., 1 fig, 1 table, 1985. Out of Print. Cultural Resource Investigations in the Guntersville Lake Area, Marshall and Jackson Counties, Alabama, and Marion County, Tennessee. Carlos Solis and Eugene M. Futato. 132 pp., 4 figs., 25 tables, 6 plates, 1987. Out of Print. Excavation at Four Sites on Walter F. George Lake, Alabama and Georgia. Tim S. Mistovich and Vernon J. Knight, Jr. 179 pp., 29 figs., 46 tables, 46 plates, 1986. $10.00. (Tax $0.90). Archaeological Investigations at Shell Bluff and White Springs, Two Late Woodland Sites in the Tombigbee River Multi-Resource District. Eugene M. Futato. 266 pp., 26 figs., 62 tables, 32 plates, 1987. $15.00. (Tax $1.35). Excavations at Sites 1Tu265 and 1Tu424, Oliver Lock and Dam, Tuscaloosa County, Alabama. Tim S. Mistovich. 106 pp., 26 figs., 16 tables, 26 plates, 1986.$8.00. (Tax $0.72). Colonial Archaeology of San Juan De Puerto Rico: Excavations at the Casa Rosa Scarp Wall, San Juan National Historic Site, Puerto Rico. Carlos Solis. 200 pp., 20 figs., 40 tables, 35 plates, 1988. $20.00. (Tax $1.80). Archaeological Survey in the Lower Cahaba Drainage. Robert B. Atchison, Jr. 131 pp., 2 figs., 5 tables, 1987. Out of Print. The Mill Creek Site, 1Tu265, Black Warrior River, Alabama. Tim S. Mistovich. 225 pp., 51 figs., 49 tables, 35 plates, 1987. $15.00. (Tax $1.35). Archaeological Survey of the Town Creek Watershed, Mississippi. Tim S. Mistovich. 128 pp., 2 figs., 5 tables, 1987. Out of Print. Excavation of the Truncated Mound at the Walling Site: Middle Woodland Culture and Copena in the Tennessee Valley. Vernon J. Knight, Jr. 206 pp., 18 figs., 43 tables, 43 plates, Revised 1990. $15.00. (Tax $1.35). Cultural Resources Investigations in the Nickajack Reservoir Area, Marion County, Tennessee. Boyce N. Driskell and Tim S. Mistovich. 130 pp., 12 figs., 7 tables, 1990. Out of Print. Elko Switch Cemetery: An Archaeological Perspective. Michael G. Shogren, Kenneth R. Turner, and Jody C. Perroni. 314 pp., 34 figs., 16 tables, 28 plates, 1989. Out of Print. An Archaeological Overview of the Tombigbee River Basin, Alabama and Mississippi. Eugene M. Futato. 455 pp., 8 figs., 78 tables, 1989. $20.00. (Tax $1.60). Archaeological Data Recovery at the Track Site, 38BU927, Marine Corps Air Station, Beaufort, South Carolina. Tim S. Mistovich and Catherine E. Clinton. 180 pp., 31 figs., 28 tables, 1991. $12.50. (Tax $1.13). Roupes Valley Ironworks, an Archaeological Perspective: Excavations at 1Tu604, Tannehill Furnace Compound, Tuscaloosa County, Alabama. Betsy Jones and Jeffery M. Meyer. 140 pp., 46 figs., 5 tables, 1991. $7.50. (Tax $0.68). Archaeological Reconnaissance of Selected Areas of the Skyline Wildlife Management Area, Jackson County, Alabama. Elizabeth A. Ryba. 69 pp., 21 figs., 7 tables, 1992. Out of Print. An Intensive Cultural Resource Management Survey, Fort Jackson Military Reservation, Richland County, South Carolina. Michael G. Shogren. 167 pp., 51 figs., 4 tables, 1992. Out of Print. History and Archaeology of Nineteenth-Century Alabama. Robert J. Norrell and Catherine C. Meyer. 386 pp., 30 figs., 44 tables, 1992. $20.00. (Tax $1.80). The Historic Eelbeck Community, Fort Benning, Chattahoochee County, Georgia. Julie B. Smith. 94 pp., 43 figs., 3 tables, 1992. $7.50. (Tax $0.68). A Cultural Resources Survey of Selected Timber Harvesting Areas, Fort Benning, Alabama and Georgia. Michael G. Shogren. 195 pp., 55 figs., 24 tables, 1992. $12.50. (Tax $1.13). William B. Bankhead National Forest: A Cultural Resource Overview. Eugene M. Futato and Catherine C. Meyer. 123 pp., 13 figs., 6 tables, 1992. $7.50. Tax $0.68). Big Sandy Farms: A Prehistoric Agricultural Community near Moundville, Black Warrior River Floodplain, Tuscaloosa, Alabama. H. Blaine Ensor. 288 pp., 57 figs., 51 tables, 1993. $15.00. (Tax $1.35). An Archaeological Survey of Lawrence County, Alabama. Beverly S. Curry. 119 pp., 4 figs., 1 table, 1993. $7.50. (Tax $1.08). An Archaeological Survey of The Locust Fork of the Black Warrior River, Blount County, Alabama. Beverly S. Curry. 79 pp., 10 figs. 1993. Out of Print. Data Recovery at the Ditto Landing Site, Madison County, Alabama. Joseph T. Betterton, III. 114 pp., 90 figs., 11 tables, 1994. Out of Print. Excavations on the Northwest Riverbank at Moundville: Investigations of a Moundville I Residential Area. C. Margaret Scarry. 372 pp., 101 figs., 60 tables, 1995. $25.00. (Tax $2.25). Archaeological Investigations of Site 1Mb161, Dog River, Mobile County, Alabama. Julie B. Smith. 109 pp., 43 figs., 7 tables, 1995. $7.50. (Tax $.68). Archaeological Survey in the Middle Tennessee River Uplands, Colbert and Lauderdale Counties, Alabama. Nurit S. Goldman-Finn. 99 pp., 37 figs., 11 tables, 1995, Out of Print. Cultural Resources in the Pickwick Reservoir. Catherine C. Meyer. 550 pp., 96 figs., 39 tables, 1995. Out of Print. Archaeological Excavations at the John and Delia Roberts Craft Pavilions, Moundville Archaeological Park. Elizabeth A. Ryba. 95 pp., 30 figs., 10 tables, 1997. $15.00. (Tax $1.35). The Use and Function of Late Middle Archaic Projectile Points in the Midsouth. Scott C. Meeks. 175 pp., 39 figs., 30 tables, 2000. Out of Print. Cultural Resources in the Wheeler Reservoir. S. Scott Shaw. 378 pp., 27 figs., 41 tables, 2000. Out of Print. Papers on Alabama Archaeology: A Guide to Literature on File at the Office of Archaeological Research. Eugene M. Futato. 2004. 2 vols plus CD. Available as a set only. $57.50. (Tax $5.18). Archaeological Excavations at the Whitesburg Bridge Site (1Ma10), Madison County, Alabama. Matthew D. Gage. 2011. $40.00. (Tax $3.60). The Mounds Awaken: Mound State Monument and the Civilian Conservation Corps. Joy D. Baklanoff and Arthur F. Howington. 1989. $3.00. (Tax $0.24). Pre-payment is required. Please make checks payable to The University of Alabama. Alabama residents must include 9% sales tax.